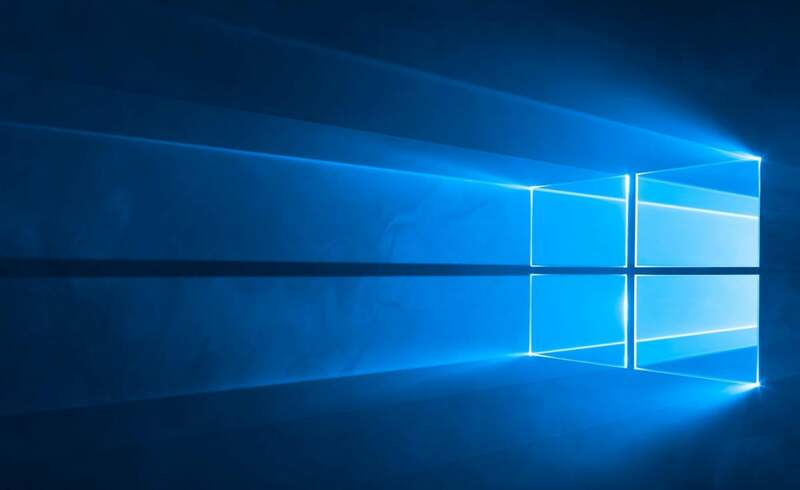 Microsoft today refreshed its Windows support lifecycle fact sheet to include Windows 10, saying there that it would provide updates to the new OS for 10 years, or until October 2025. The new information puts to rest one of the biggest remaining questions about Windows 10: what has Microsoft meant since January by describing the policy as running for the supported lifetime of the device when it described the operating system's support timeline? "The traditional 10-year support lifecycle applies to all SKUs [stock-keeping units]," a Microsoft spokeswoman confirmed in a follow-up email [emphasis added]. SKUs represent the various editions of the OS, such as Windows 10 Home, the primary consumer-grade version, Windows 10 Pro and Windows 10 Enterprise. The fact sheet now includes a one-line mention that lists "Windows 10, released in July 2015," a departure from the name-only practice that showed "Windows 8" for that operating system but sans a date. Windows 10 will be supported for five years in "mainstream" support until Oct. 13, 2020, and then another five years in "extended" support until Oct. 14, 2025. Traditionally, Microsoft has split the decade of OS support into those two categories, offering both security and bug fixes in mainstream but only security updates in extended. Windows 10, however, will use a new -- and for Microsoft, a radical -- approach where feature and functional, UI (user interface) and UX (user experience) changes will be delivered on a continual cadence to make good on its claim of "Windows as a service." That's a major departure from the past, even from Windows 8, which was updated 12 months after its debut with new features and functionality by Windows 8.1. Before Windows 8, Microsoft's operating systems were finished, sent into the world, and then rarely, if ever, given anything more than vulnerability and bug fixes. Microsoft noted the differences in Windows 10's update and upgrade practices in a footnote to the fact sheet's Windows 10 listing. "Updates may include new features, fixes (security and/or non-security), or a combination of both," the footnote read. The Redmond, Wash. company expanded on the support policy in that same footnote. "Updates are cumulative, with each update built upon all of the updates that preceded it. A device needs to install the latest update to remain supported," the note stated. "A device may not be able to receive updates if the device hardware is incompatible, lacking current drivers, or otherwise outside of the Original Equipment Manufacturer's ('OEM') support period." The first two sentences describe what Microsoft has already disclosed, that Windows 10 users must keep the OS up to date or face a shut-off of not only feature updates and upgrades, but also security patches. The last sentence, while reasonable on its face, is new to Windows 10, particularly the tie-in with the OEMs' support. Microsoft's insertion of of Windows 10 in the lifecycle support fact sheet -- and more importantly, the usual promise to support the OS for a decade -- closes the company's mysterious use of supported lifetime of the device whenever it described the policy for Windows 10 or was asked to clarify its meaning, which it repeatedly declined to do. The phrase first popped up in January, when Microsoft announced an unprecedented free upgrade offer to Windows 10 from several SKUs of Windows 7 and 8.1. "Once a device is upgraded to Windows 10, we will be keeping it current for the supported lifetime of the device," said Terry Myerson, then the head of the Windows group,. Myerson used the same phrase in a blog post last month when he revealed the OS's July 29 release date. "And Windows 10 provides the most secure platform ever, including Windows Defender for free anti-malware protection, and being the only platform with a commitment to deliver free ongoing security updates for the supported lifetime of the device." In late June, Microsoft described a support timeline in a presentation aimed at Wall Street, saying there that Windows revenue would be deferred "over the estimated period the software upgrades are expected to be provided by estimated device life, which can range from two to four years." A Microsoft spokesman confirmed the two-to-four-year stretch, saying in an email exchange last week that, "The upgrades will be for [the] life of device, which we estimate to be 2 to 4 years." However, Microsoft today put that to rest with its pledge to support Windows for 10 years or as long as the hardware handles the operating, whichever comes first. "The OS that ships on July 29 will continue to be supported for 10 years, with those caveats," said Steve Kleynhans, a Gartner analyst, in an interview, referring to the footnoted material on the lifecycle fact sheet. "Although obviously, at some point they will have to reset the clock to start another 10 years and mark some kind of stake in the ground. Whether that will be around LTSB [the Long-term Servicing Branch update track available solely to the Windows 10 Enterprise edition, which will get only security patches and critical bug fixes] or when the next 10 years will start, we don't have answers yet." But to Kleynhans, it was evident that Microsoft would support Windows 10, particularly the business-grade SKUs of Windows 10 Enterprise and Windows 10 Pro, for the usual decade. "There was never any intent not to support Windows 10 Pro for 10 years," Kleynhans said. Microsoft had explicitly said as far back as January that Windows 10 Enterprise -- the sole SKU able to hook into the LTSB and its stay-static approach -- would be supported for 10 years with the traditional 5 + 5 of Mainstream + Extended. But it dodged questions about other SKUs, falling back on the boilerplate device lifetime. Kleynhans thought he knew why. "They're more dependent on the PC hardware vendor for Windows 10, because the license is going to be attached to that PC and supported on that PC," he said, referring to the feature, UI and API (application programming interface) changes Windows 10 introduces into the ecosystem. "They'll try to keep the OS functional, but there may be [OEM issues] with the BIOS or drivers that stops [Windows 10] from moving forward." Kleynhans bet? "They've really been trying to express their intent," he said of supported lifetime of the device, "but the dependence on OEMs puts a limit on how much support they can give." Microsoft has promised to update, upgrade and provide security patches to Windows 10 for 10 years, until October 2025.